Swarm, a work made in 2010, is a 3:28 minute long video. 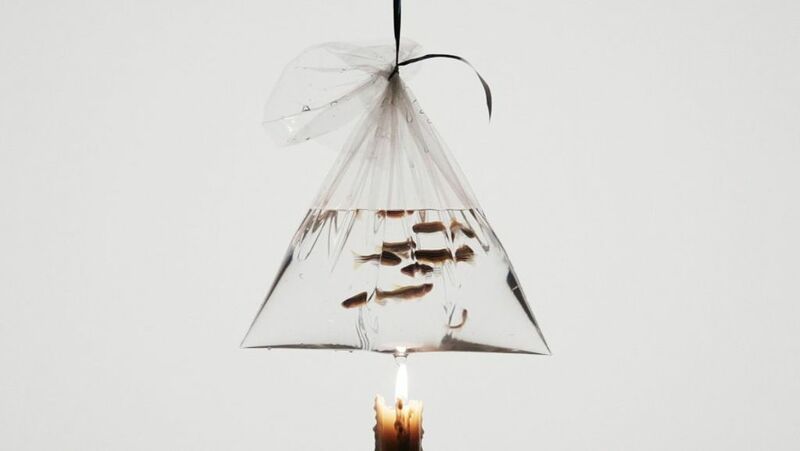 It features a plastic bag filled with water containing goldfish hanging by a piece of sting over a lit candle. The bag spins around and the heat from the flame makes the fish swim closer to the surface. Finally, the bag is torn and a drop of water blows out the flame. We never learn how the experiment really ends, but it is obvious that these fish are in great danger. Without a rescue operation by a human hand they will die. This is an intrinsically poetic artwork.